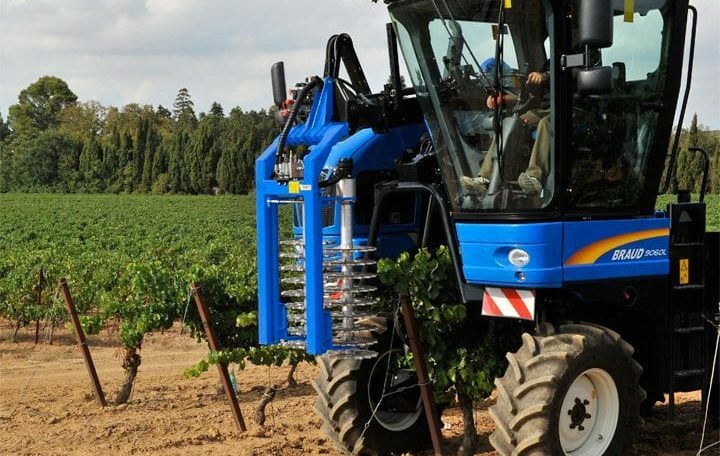 The shape of the disc ensures a good grip on the vine shoots and a regular feeding of the machine, without damaging the trellis. 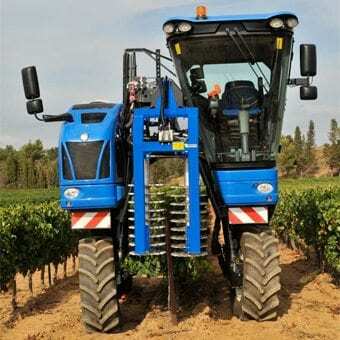 All the pre-pruning functions are centralized in a hydraulic block. Reduced sprays because of low rotational speeds. Bottom part of the discs totally flat, preventing the buds on the trailers from ripping off. The spacing of 60 mm. between the discs favours the cleaning of the wires. 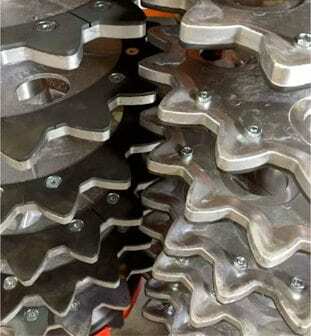 A circular disc with ground edge on one of the modules facing a toothed disc of the other modules provides a clean cut with splitting of the stems. 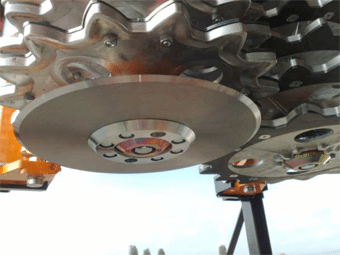 The cutting effect of the disc prevents the pinching of wood, a common phenomenon in shearing cuts. 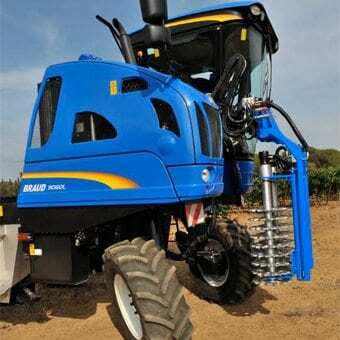 A particular configuration of this equipment ensures the respect of the trellis (stakes and wires).